1957 Show in Vancouver, B.C. 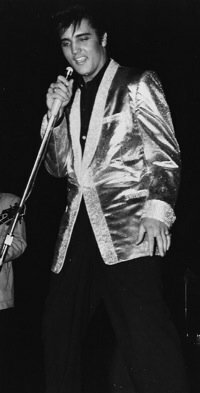 Exactly 50 years later, on August 31, 2007, Vancouver remembered Elvis’s controversial appearance in the city with an anniversary celebration at Rogers Amphitheatre. On the bill were two Elvis Tribute Artists, Steven Elliott as the young Elvis and Wally Tiemer as the seventies concert-tour Elvis. At intermission, hall of fame DJ Red Robinson, who introduced Elvis at Empire Stadium in 1957, and Memphis Mafia member Joe Esposito made a presentation on stage. 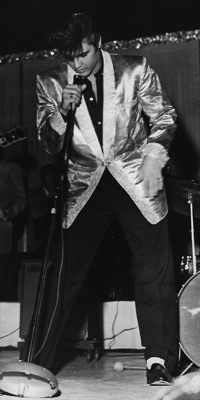 As they had done with Elvis’s live appearance in 1957, Vancouver’s newspapers, the Sun and the Province, gave the 2007 anniversary celebration wide coverage. 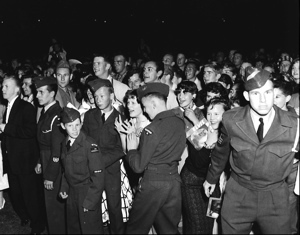 Both papers invited readers who had seen Elvis’s 1957 show to send in their accounts of the event. Below are some of the cherished memories readers shared of that hot summer evening 50 years before. First, Billy of Vancouver, just 13 in 1957, told the Sun what happened when he went to see Elvis with his 16-year-old sister, Donna. Billy: “It was a beautiful summer evening when we arrived over an hour early. Our seats were 12 rows up on the east side of the stadium near the stage … Donna, who was in the habit of bossing her little brother around, gave me some money and told me to go and get us something to eat and drink. ‘I don’t want to miss anything,’ she said excitedly. The following remembrances of seeing Elvis in 1957 appeared in the Province. 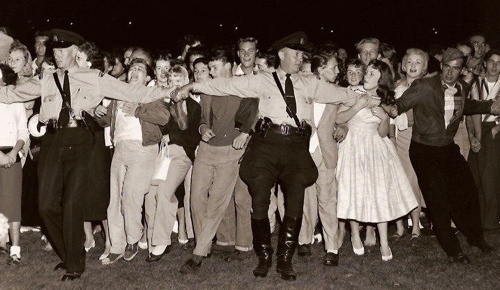 Bob Reid: “Back in the 1950s, Empire Stadium had a policy of having cadet organizations as ushers. It turned out to be my squadron’s turn to usher … I was 16 years old. I and some of the other cadets were near the stage. 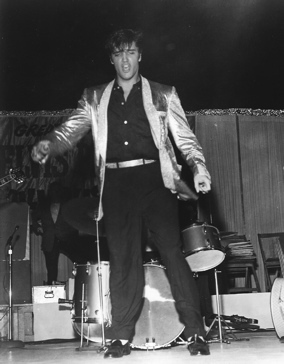 “Elvis came over to us and asked us how we were doing and how we liked the show so far. He said that he liked Vancouver and was having a great time. In a little while he said that he had to get back to work, but before he left us, he reached down and shook our hands. Unfortunately, in the crowd were a number of rowdies who were determined to reach the stage. Being young and naïve, I and other cadets linked arms to stop them. When the wave hit us, our linked arms locked us in place and the crowd swept over us … Several of us were scratched and had minor injuries. "I was just kind of mesmerized. Oh God, he was good lookin’ … He was wiggling his little pelvis there. I’m just sitting there with my mouth open."